Just before his son turned five, Richard and his wife were told that their oldest child had Asperger’s Syndrome. Nine years later, Richard’s son would become the inspiration for the character of Howard Beck. You can view his website at http://rastephensonauthor.blogspot.com. 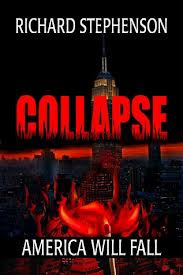 His latest book is the dystopian thriller, Collapse.